It’s been awhile since I’ve visited here, and it’s because I’ve been blogging at DoingWhatMatters.com. You can find articles on education, entrepreneurship, and soul care there. 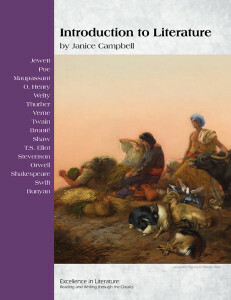 If you’re looking for resources for learning and teaching classic literature, you might want to check out my Excellence In Literature site. If you’re looking for resources for homeschooling through high school, visit EverydayEducation.com. Posted in Books Tags: blog, education, janice campbell, Publishing Comments Off on I’ve moved to DoingWhatMatters.com! 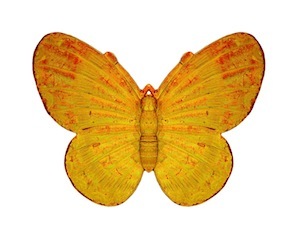 Words, like moths, are captured by writers who pin them to the page in various forms. What writer’s work most deftly captivates you? Why? Then there’s a pair of us? Banned Books: What Are You Reading This Week? The last week in September is Banned Books Week, and as usual, I’m celebrating by reading something that has been banned somewhere. This year, it’s one of my old favorites, A Wrinkle in Time by Madeleine L’Engle. I oppose book banning because it’s a slippery slope. I see the potential for it to become a place for the politically inclined to score points, with everyone losing in the long run. Just imagine–one faction bans Judy Blume, and the opposition retaliates by banning C.S. Lewis. One group bans Huckleberry Finn; another strikes back by banning The Diary of Anne Frank. The Koran is pulled from libraries in one area, and the Bible is banished in another. As the idea-rich pool of thought shrinks, minds and hearts desiccate, leaving nothing more than bland encyclopedia summaries to be forgotten at the end of the day. Books are powerful– they can change hearts, minds, lives. I read to learn, grow, remember, and yes, to laugh. I read to enlarge my world, and I write to open doors for others. I shared books with my children to open their eyes, hearts, and minds to ideas and people they didn’t encounter in their daily life, and I want them to have the opportunity to do the same for their own children. I’m not willing to allow others to decide what I read or write; therefore, I relinquish the option of deciding what others read. Instead of trying to suppress ideas that I don’t care for, I can write books that share what I do believe. And so can you. Posted in Books Tags: banned books week, banning, censorship, ideas Comments Off on Banned Books: What Are You Reading This Week? Read three books that will stretch your mind and inspire your creative spirit. Finish one project that’s been nagging at you for longer than you care to admit. Brainstorm a new project that will bring you an additional stream of income, then take the first step to make it happen. 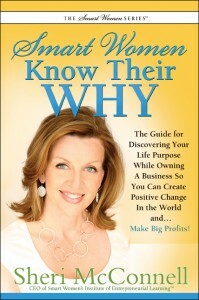 I read Sheri McConnell’s Smart Women Know Their Why (see review in the preceding post) for the first of my three books, and have a teetering stack from which I can choose the remaining two official Challenge books. This is the easiest part, because I know that before summer is over, I’ll have read quite a few more than three books. I schedule morning and evening reading times so that I can bracket each day in knowledge, inspiration, and sometimes, just plain fun. The second element of the Challenge was to finish a nagging project. I finished a huge one just a few weeks ago, so considered counting it and coasting on this option. However, another nagging project has been to learn more about financial management, retirement planning, and all that goes into being a good steward of resources. So that got added to the list for Part 2 of the Challenge. The final challenge piece is where serendipity kicked in. I brainstormed a great list of projects that could bring in an additional stream of income (some of them would also qualify as nagging projects), and was trying to decide which to pursue when a brand-new project dropped into my lap. Serendipitously, it happens to fulfill not only the final element of the Challenge, but the second as well. For Part 3 of the NAIWE challenge, I’ll be producing a book on personal finance and estate planning. I just love serendipity! The author has provided a large collection of written work that needs to be transformed into a book and prepared for publication (compilation, editing, layout, cover, etc.). I’ve begun to work with it, and I can already tell I’m going to learn a lot about finance. It’s also going to be a very large project with a very short deadline, so I’m scheduling the rest of the summer pretty tightly. I’m grateful to have such an interesting project come my way, and doubly delighted at the serendipity of it all. So…what are you doing for the NAIWE Summer Challenge? Different writers appeal to me at different times, and the magic ingredients can be found in different proportions in most of my favorites. I love C.S. Lewis and J.R.R. Tolkien anytime, all the time. Of course, there’s always a flip side– things you couldn’t pay me to read. I won’t read anything in which an animal is harmed, and I am dismally bored by whiners, navel-gazers, chronically-depressed characters, and insecure people in unhealthy relationships. I confess to a completely low-brow desire to spend my reading time with characters, ideas, and settings I find interesting. Life’s too short to tolerate bores! You can visit the Words Matter Week website and blog to find more posts from the blog challenge. They’ve been a lot of fun to read.